(CBS/KIRO) PIERCE COUNTY, Wash. -- A video showing a man being beaten and tortured to death has led to the arrest of Michael Crossman of Pierce County, while police search for another man in connection with the crime. Crosman, 25, pleaded not guilty to aggravated first-degree murder charges during his arraignment on Thursday. His bail is set at $5 million. According to charging documents obtained by CBS affiliate KIRO, a disk depicting the torture of a man bound and gagged with duct tape was given to the Spokane Police Department on Feb. 28. The witness gave the video to police and "informed them this was a homicide and that it occurred in Pierce County," according to a probable cause affidavit. The charges state that the disk contains a video that "depicts the young man bound and gagged with duct tape being tormented with the knife for approximately 19 minutes." The victim is referred to as John Doe because his identity is not known, but court documents state that a body with the same clothing and rings seen on the video was found dumped in a wooded area on March 10, KIRO reported. Police said the video also shows distinctive features and tattoos of a man identified in court documents by prosecutors as Maalo Samaota torturing the victim. Samaota has not been arrested. Prosecutors said the disk somehow fell into the hands of Debra Van Meter, the mother of suspect Michael Crossman. Van Meter told KIRO she watched the video, but thought it was a hoax. According to court documents, she then gave it to a friend for safe keeping - but that person later gave the disk to Spokane police, who notified authorities in Pierce County, clear across the state. 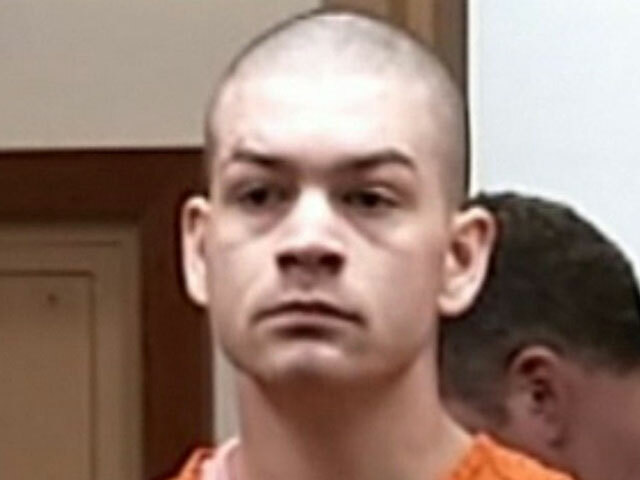 Prosecutors allege Crosman was working on a remodeling job at an apartment where the crime occurred, and had keys to the unit at the time the torture and slaying took place,,according to KIRO. According to court documents, Crosman initially denied being involved, but then "admitted he had filmed the incident," The documents state he also admitted the victim was beaten and duct taped and ultimately murdered by Samaota. Crosman told investigators the victim had stolen a vehicle with drugs in it, and that what occurred was "retribution for the theft."